By now you probably know that taking a probiotic can seriously improve your overall health. Probiotics benefits range from helping you with weight loss to lowering your cholesterol and even helping manage your appetite. 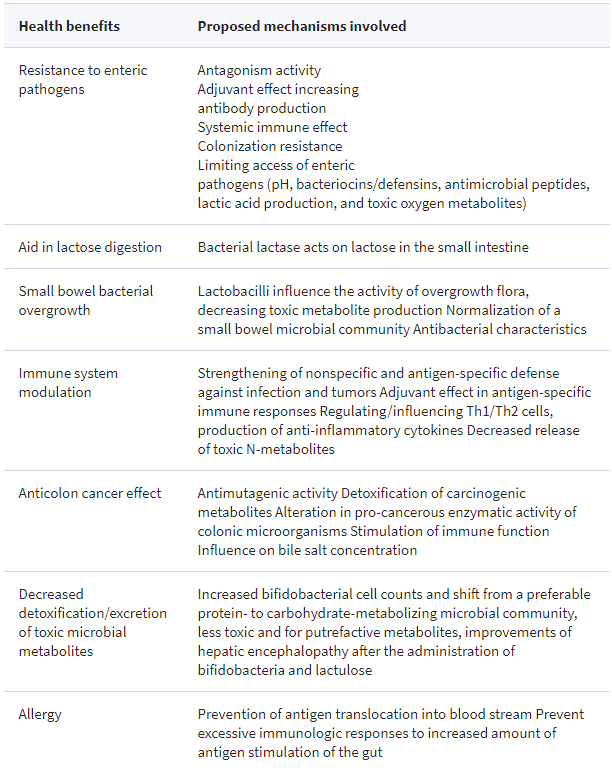 But can you get all of these benefits with any old probiotic? In fact, in order to tap into these benefits, you need to be using the best probiotic for your body. Is there a "Best" Probiotic? It might surprise you to know that probiotics have documented efficacy in multiple clinical trials. This means that probiotics do indeed work, and they work for many conditions. Digestive issues (1) -> Probiotics improve gastric acid production and aid in the breakdown of nutrients. Diarrhea (3) -> Binding of bacterial toxic metabolites. Constipation (4) -> Reduces whole gut transit time and improves intestinal microflora and diversity. Depressio﻿n (5) -> Probiotics alter intestinal neurotransmitter levels like serotonin. SIBO (small intestinal bacterial overgrowth) (6) -> Improve intestinal diversity and compete with other native bacteria. Fungal overgrowth/candida (7) -> Competition with fungal species in the gut. Weight loss (8) -> Certain probiotics influence appetite, mood, eating habits and directly influence metabolic functions. Immune system modulation (12) -> Activation of host immune response systems. If you fall into any of these categories or you are suffering from any of these conditions then using probiotics is absolutely worth considering. It's also worth considering that many other benefits of probiotics haven't even been discovered at this point. ​There might be a place to regular consumption of probiotics and/or fermented foods on a regular basis to ward off disease even if you are already healthy. It's hard not to get excited when you read the list of benefits provided by probiotics. But you can't just run to the grocery store and buy whatever probiotics exist on the shelf and think you will get the benefits listed above. 4 things to consider when buying probiotics - is your probiotic effective? In order to get these benefits, you have to get the right type of probiotics at the right concentration. This depends heavily on the manufacturer of the probiotics that you are purchasing. To help make this process easier to understand I've broken it down into 4 main categories that you want to consider before you purchase probiotics. Remember that probiotic is a general term to include basically any type of bacteria that can be ingested and is meant to help improve your health and quality of life. But you need to consider that there are hundreds of types of bacteria and therefore many different types of probiotics. It turns out that not all of these probiotics and little bacteria are created equal! In fact, some studies have indicated that certain strains and certain species (24) of probiotics tend to improve health far more than others. ​To make matters more complicated you always need to consider the fact that your body is unique. To combat both of these problems it's very important that you use an antibiotic that is both well-studied and highly diversified. This means a probiotic that contains MULTIPLE species and multiple strains. Stick to probiotics that have at least 10+ species or strains in EACH serving. This will knock out a bunch of the cheaper probiotics on the market and that's okay because they probably weren't going to help you much anyway. As long as you stick to probiotics that contain these probiotics (in addition to other species) you will most likely do quite well. Now that you know which probiotics to pick, you need to get the right dose and concentration in each serving. The CFU label on probiotics stands for 'colony forming unit' and is really just a way to measure how many probiotics are in each serving. The standard (and average) dose that probiotics carry is around 15.5 billion CFU in each serving. In general, the cheaper the probiotic the smaller the serving size and this can fool a lot of people. But you don't want to be average, you want to actually feel BETTER. Serious probiotics that actually work often have 10-30x the CFU's of the "average". This is a probiotic that is available only by prescription from a Doctor and the CFU per serving ranges from 225 billion to 900 billion PER SERVING. To get the most benefit out of your probiotics you want to make sure you find a probiotic that contains at least 50 billion CFU per serving. Would it surprise you to know that science doesn't know exactly how probiotics work? We know that probiotics have been used for centuries in fermented and cultured foods and these health benefits are undisputed. Some studies have shed light on proposed mechanisms for how these probiotics may be conferring health benefits on humans. ​We often assume that taking probiotics means that we are removing bad bacteria and putting healthy bacteria in its place. This isn't necessarily true, though several mechanisms may promote something similar. Because of these unknowns, it's best to stick to probiotics that have documented and proven efficacy in scientific studies. Packaging and temperature control matters quite a bit when it comes to probiotics. Because certain species of probiotics MUST be temperature controlled in order to survive! In addition, probiotics require something to eat or they will die over time. When probiotics are created they always start out at a higher CFU than advertised on the bottle. The reason for this is that it takes time to ship the product and get it from the store into YOUR hands. Imagine if your probiotic (which should be temperature controlled) spent hours and hours in a truck in 120-degree weather during transportation. This isn't an uncommon occurrence when it comes to probiotics and should be one of the main reasons you should NOT buy your probiotics from grocery stores. We can use examples of pharmaceutical companies that create probiotics to help understand how they should be packaged and shipped for maximum potency. These companies make sure to create the probiotic in a higher concentration than advertised (to account for the death of species over time) using triple layer packaging to reduce humidity/moisture and light. They also make sure to ship their products with cold packs in a temperature controlled manner. All of these are done it ensure that you get the highest quality probiotic by the time it reaches you. Make sure your probiotics are being packaged, shipped and temperature controlled if necessary. It's worth pointing out that not all strains of probiotics need to be temperature controlled. Soil-based organisms, for example, are more hearty than traditional probiotics and are perfectly fine at room temperature. Once you've determined that you should be using probiotics (good for you, by the way!) now you need to make sure you are using the right ones for your body. Your gut is unique to you, which means that you should target your probiotics to the issues that YOU are dealing with. This means that you may need to play around with the type of probiotic that you use as well as the dosing. #1. Don't use the same probiotic for months at a time. Try to avoid getting on a "regular" schedule. #2. Try taking your probiotics with meals and in between meals. #3. ​Consider taking large doses of probiotics once per week instead of dividing the doses evenly throughout the day. #4. ​Couple your probiotics with fermented foods for added benefits! Most people are interested in probiotics for a certain reason and weight loss seems to be at the top of the list. It turns out that probiotics do indeed help with weight loss in a variety of ways (29). First: Probiotics may work to alter the caloric absorption and breakdown of foods. This means that some people may be ingesting the same amount of food but due to changes in the bacterial concentration of the GI tract certain people may be absorbing more calories than others. Second: Probiotics may influence appetite and food cravings. Probiotics can influence serotonin levels and other neurotransmitters in the GI tract. These neurotransmitters are at least in part responsible for food cravings and manipulating how much food you eat. Third: Probiotics may influence metabolic function and hormone balance in the body. Certain probiotics may help reduce metabolic dysfunction such as high cholesterol, insulin resistance, and visceral adiposity. Fourth: ​Probiotics may influence epigenetic changes and alter local inflammation. Probiotics help reduce local inflammation and reduce inflammatory cytokines which may translate to a reduction in system inflammation. The inflammatory cascade is implicated in the pathogenesis of metabolic syndrome and obesity (30). To see weight loss while using probiotics you need to be using a high dose of probiotics. For weight loss, I recommend at least 300 billion CFU per serving daily for 2-3 months during the weight loss phase and coupled with dietary changes and strength training. I recommend using a probiotic like this one for weight loss. Many patients also turn to probiotics for relief of certain gastrointestinal symptoms. If you suffer from any of these symptoms then you might find relief with a specific type of probiotics: soil-based organisms. Soil-based organisms (31) are relatively rare among probiotic species but they are very helpful for GI related issues. Soil-based refers to where they are found - predominately in the soil. The theory is that humans nowadays clean our food too much which results in decreased ingestion of soil-based organisms that evolved with us over time. Hundreds of years ago it was normal to dig our food out of the ground and eat it with a little bit of dirt on it, this act probably resulted in normal colonization of our GI tracts with certain soil-based organisms. These organisms can be taken in probiotic form and are particularly helpful in bringing diversity to existing gut microflora. These soil-based organisms are also safe to use in conditions such as SIBO/SIFO which may account for up to 70% of cases of irritable bowel syndrome (32). The recommended supplement below is one of a few select probiotics that have undergone randomized, double-blind placebo-controlled trials (33) showing efficacy for irritable bowel syndrome. Not sure where to start or just want to take a probiotic for "general health"? ​No problem - we got you covered. #1. You will want at LEAST 50 billion CFU/serving (and this should be taken each day). #2. 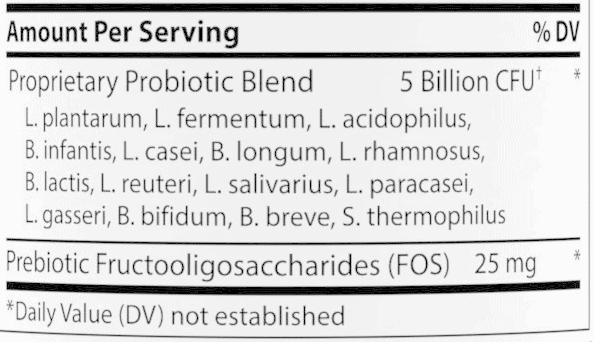 You want at least 7-10 different species/strains of probiotics in your supplement. #3. ​You want to make sure that the probiotics are either shipped with a cold pack or that they are heat stable. I tend to focus on people who have hormone imbalances or autoimmune issues, but if you aren't suffering from these conditions you can stick to a less intense probiotic. 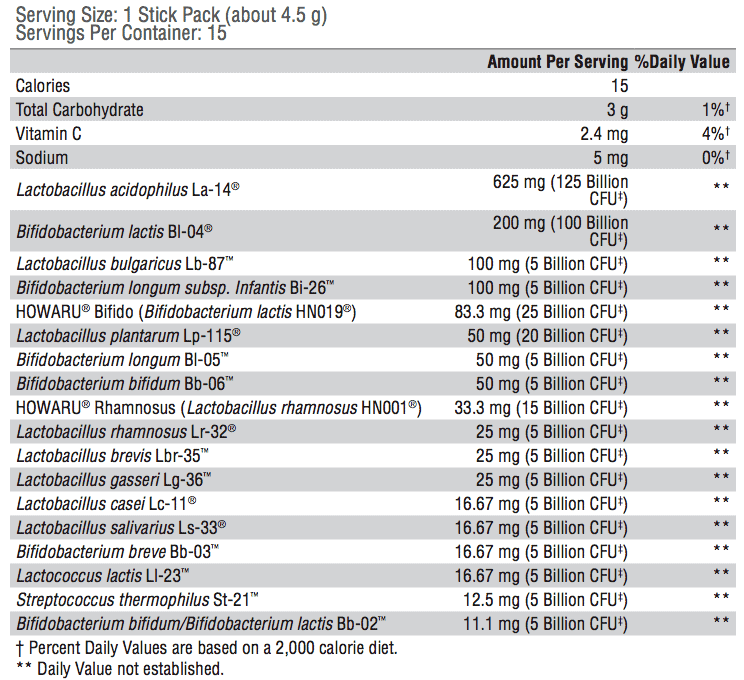 ​The probiotic outlined below fits all of the criteria above and is the perfect "starter" or "maintenance" probiotic. The other 50% has to do with PREbiotics, not PRObiotics. You can think of prebiotics as food for the bacteria in your GI tract. 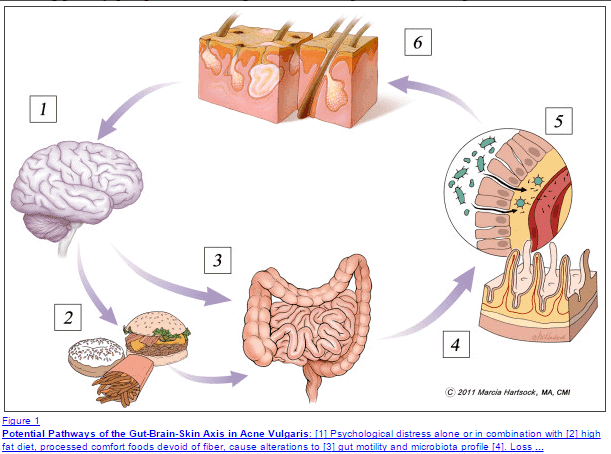 Just like you need to eat on a daily basis so do your gut bacteria. And just like you, they prefer certain types of foods (don't worry because the food that they eat isn't digestible to you!). ​You can reduce the death of good bacteria by changing your diet, but that doesn't mean that the good guys will grow back automatically. In order to promote the growth of healthy bacterial concentrations in your gut you need to do more than just eat healthily and take probiotics, you need to provide food for your bacteria. 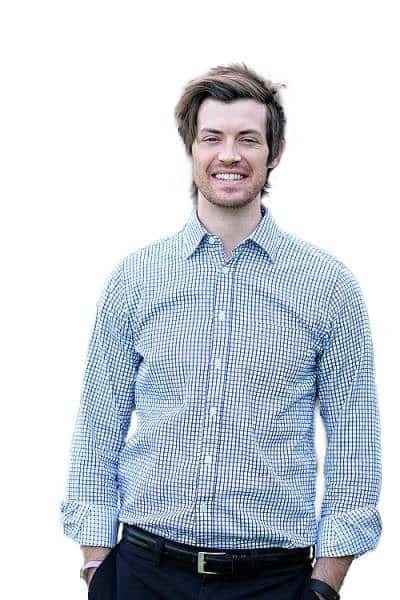 You can do this by taking prebiotic supplements! ​Many probiotic supplements come with prebiotics built in, but they don't always use the right types of prebiotics. To help promote the right type of bacterial growth I recommend that patients seriously consider taking prebiotics in combination with potent probiotic formulations. If you don't want to take my word for it please check out these studies (35) which show that simply taking prebiotics by themselves may reduce cardiovascular mortality, improve blood sugar control and normalize appetite. The one exception is if you have small intestinal bacterial overgrowth or small intestinal fungal overgrowth. Taking prebiotics in this setting may actually make your symptoms worse if you fall into this category make sure to read this post. ​It's also worth taking a minute to talk about how to get probiotics naturally from food sources. The benefit of using fermented foods as a source of natural probiotics is that you get a high concentration of both beneficial yeast and bacterial concentrations in each serving. The only downside is that some of these foods may require some prep work, or recurrent work (as in the case with kombucha or kefir). If possible I strongly recommend that you also add naturally fermented food products into your weekly (daily preferably) eating regimen. I attribute a large part of my healing process to the addition of Kefir (36) to my diet and still drink at least 4-8 ounces per day. Now I combine probiotics with fermented foods for serious bacterial diversity. Be careful if you purchase these foods from grocery stores as many of them come sweetened with high sugar content (which you want to avoid). The best case is to make them yourself at home with a starter kit (you can buy these on Amazon or get them from a neighbor). ​Adding probiotics to your daily regimen can help improve your health in a variety of ways. If you decide to use a probiotic make sure that you use a high quality probiotic with multiple species/strains and at a high enough concentration. People who are seeking weight loss will likely need at least 300 billion CFU, while those looking for general health should seek to ingest at least 50 billion CFU each day. Are you taking a daily probiotic? Has it helped you improve your health? Have probiotics helped you with weight loss?